Crispi US offers a discount program for Outfitters and Guides. As an owner of a guide service, you are welcome to submit your information below to get approved into our Guide Program which gives you access to discounted hunting boots. This is individual based and limitation may apply. Once you have filled out the form below, we will contact you with details on how to get started! - Do I qualify for the Crispi Outfiiter Program? If you are a certified hunting guide and/or outfitter, you may qualify for the Crispi Outfitter Purchase Program. Please be prepared to provide proof or professional standing with a State Guide's Association and/or Outfitters License. - What is the process for becoming eligible for the Crispi Outfitter Program? Fill out the Pro purchase application above. Complete all required fields and submit. We carefully review each request. Please allow up to five business days for us to do our diligence. If you do not meet our Pro purchase criteria, we'll provide an explanation. - How do I use my account once I'm set up? Once you are approved, we will set up an account under the name and email address you submitted through the form above. We will notify you when this happens and you will receive an email prompting you to create a password. From there, simply make sure you're logged into your Crispi account and you will see the Purchase Program pricing kick in as you shop. - Why can't I log into my account? Be sure you are using your Pro/Profile email address and the password you created when you signed up. If you forgot your password select "forgot password," and we'll send you a "reset" email. - Do Military or Law Enforcement professional quality for this Cirspi program? There is a separate MIL/LEO Crispi Program available. - Can I use my discount to purchase for others? NO...absolutely not! Although we'd love everyone to use Crispi, this program is for personal use only and all orders will be monitored and approved on an individual basis. If we feel you are abusing the program, we reserve the right to shut it down. - Can I apply for the Outfitter Program if I live outside the USA? Not at this time. Interntional shipments are not setup with CrispiUS.com at this time. - Program Warranty, Returns, and Repair? The same policies apply to all our customers. Please read our policy pages for more information. - Does my Outfitter Pricing status expire? Do I need to reapply? Your program membership expires at the end of each calendar year (12/31). When reapplying, you can simply use the same credentials information with any updated details. - What are the program guidelines? Because you are a professional, you are expected to respect our Outfitter Purchase guidelines as listed below. 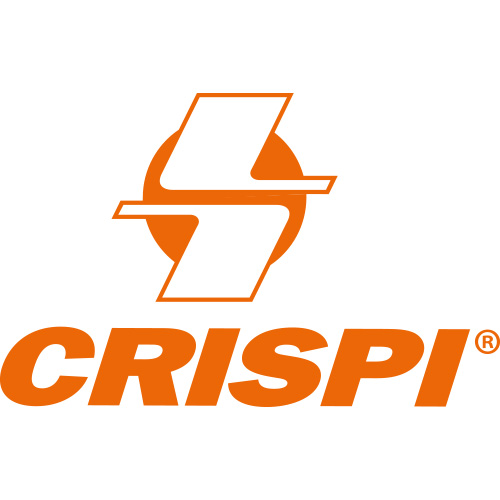 Your status with Crispi is considered a privilege and can be revoked at our discretion. Please respect our guidelines. Purchases are for your personal use only. Products obtained through the Outfitter purchase program may not be resold. Your purchase pricing is confidential. Please do not discuss your discounts. All orders are subject to approval by Crispi US. Please allow for up to three business days from the time you place your order for your items to ship. Abusing your status with Crispi could lead to permanent suspension from the program.